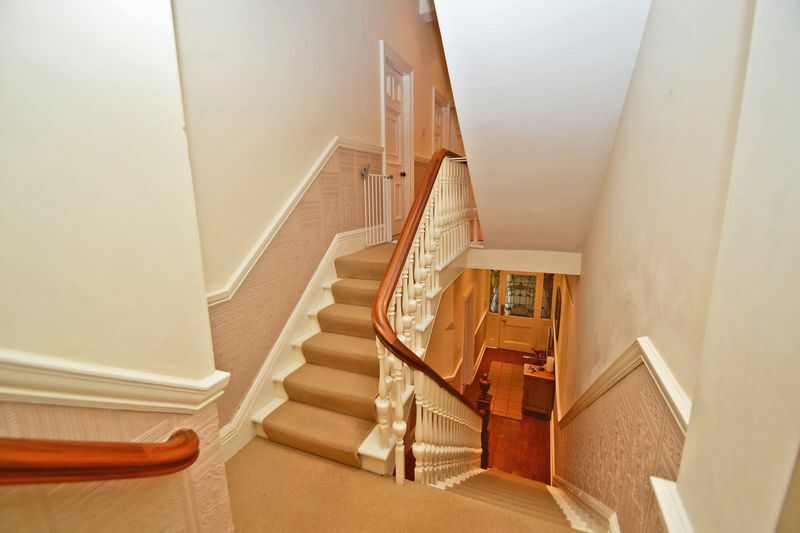 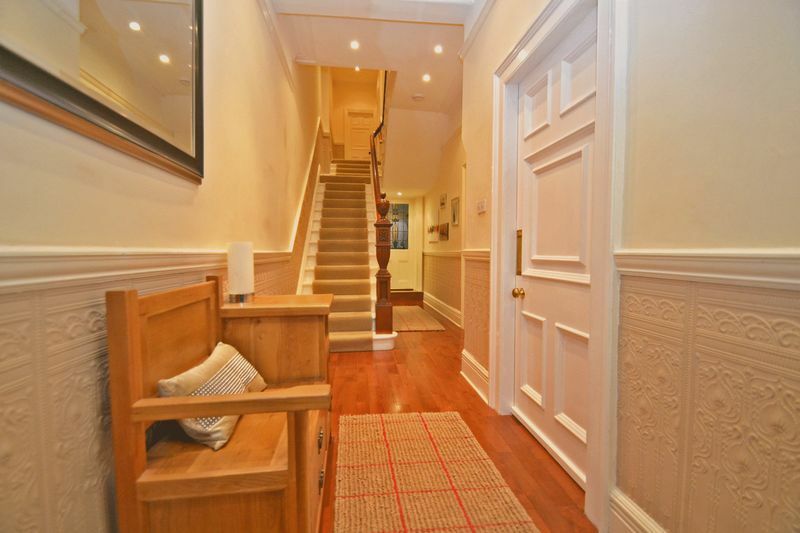 An inviting wood floored hallway with picture rail and dado rail, coving to ceiling, a decorative staircase to the first floor, under stairs cupboard, spot lights and two radiators. 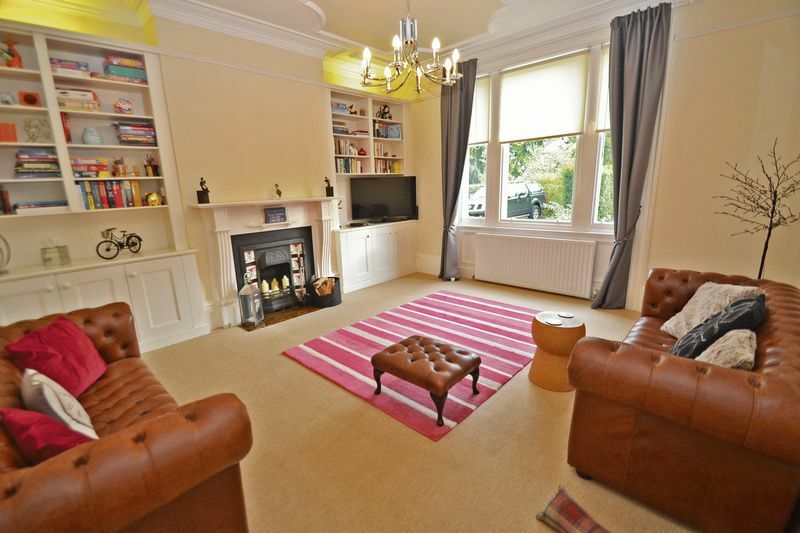 A charming lounge with a window to front overlooking the private road and gardens. 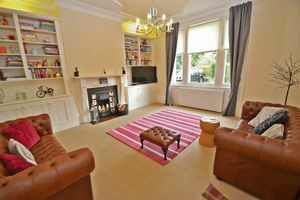 The room features a decorative ceiling, radiator and characteristic fireplace with cast iron fire, tiled inset and hearth. 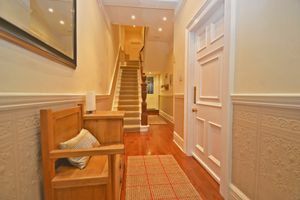 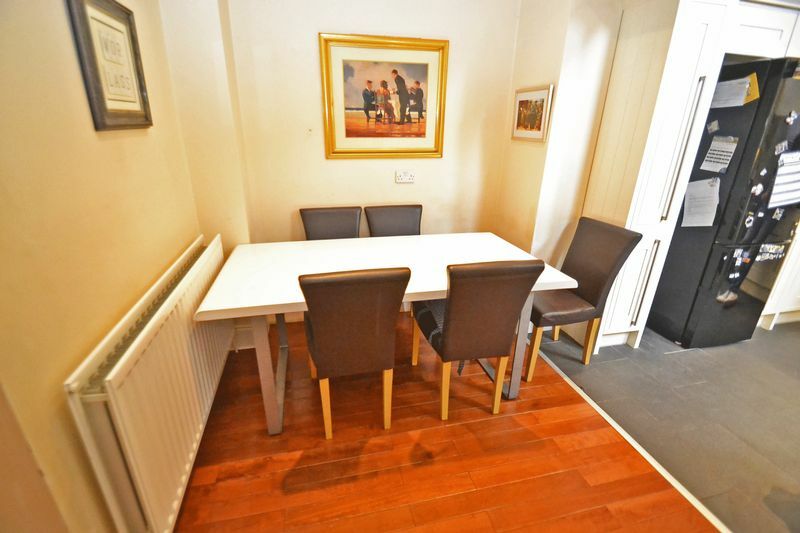 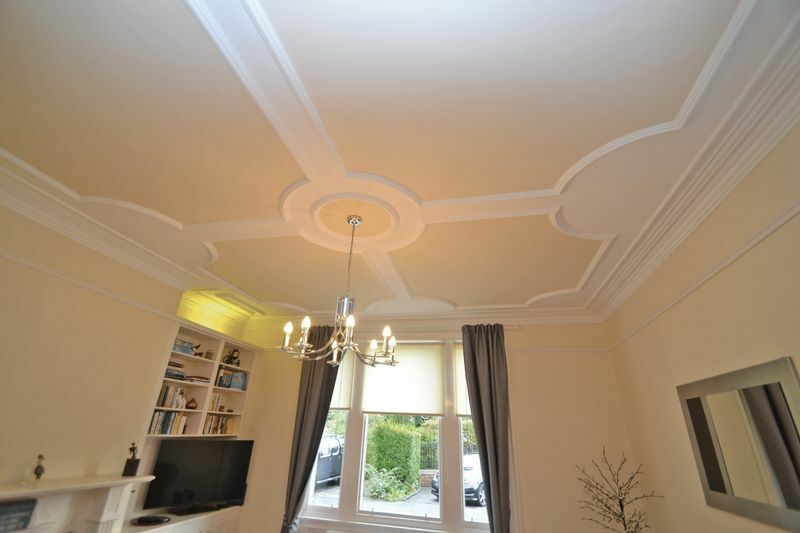 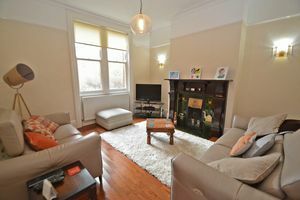 The dining room benefits from an attractive fire place with tiled inset and hearth and also features a picture rail, coving to ceiling, wall lights, wood flooring, radiator and two sash windows to rear. 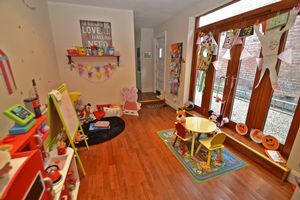 This multipurpose room currently used as a family room benefits from spot lights, wood flooring, radiator and double glazed bi-folding doors to rear of the house. 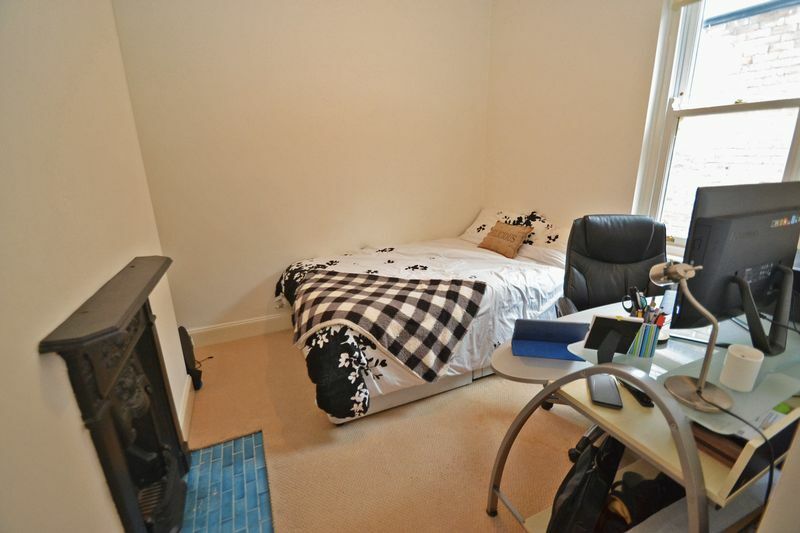 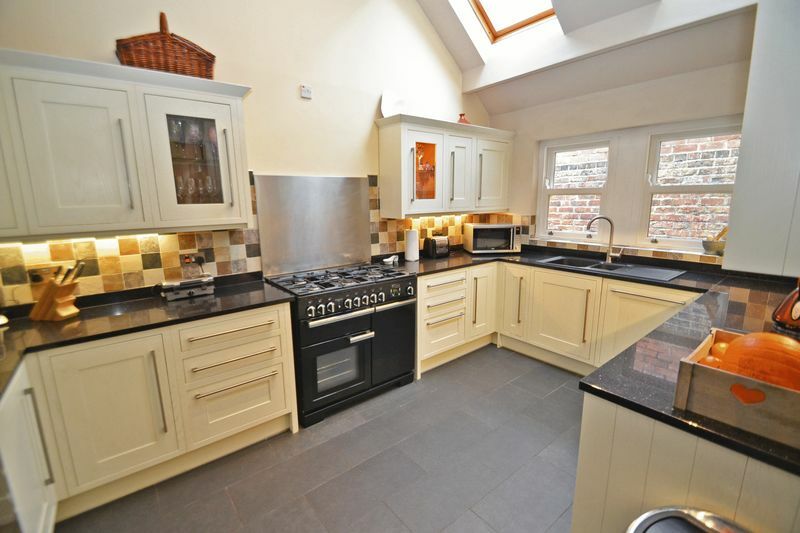 Spot lighting, cupboard housing comb boiler, wood flooring, radiator and door to rear. An extended modern kitchen incorporating base units with granite work surfaces over, sink and drainer with mixer tap and matching wall units. 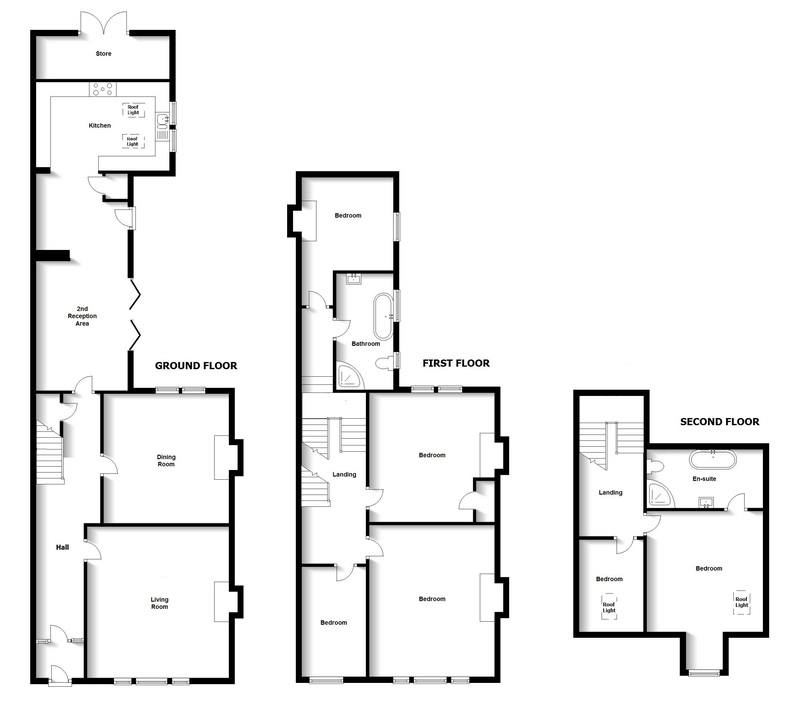 There is space for a range, an integrated dish washer, integrated washing machine and integrated tumble dryer. 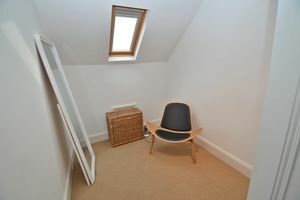 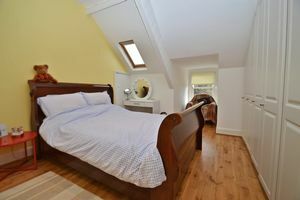 The room benefits from two double glazed skylights and two double glazed windows to side, spotlighting and tiled floor. 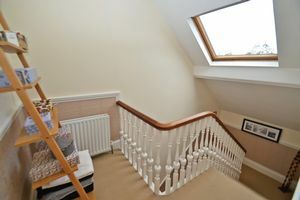 Dado rail, spot lighting and loft access. 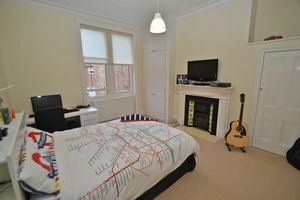 Feature fireplace, radiator and sash window to side. A traditional family bathroom with free standing bath with mixer tap and shower attachment, corner shower cubicle, high level WC and pedestal hand wash basin. 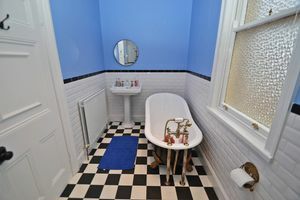 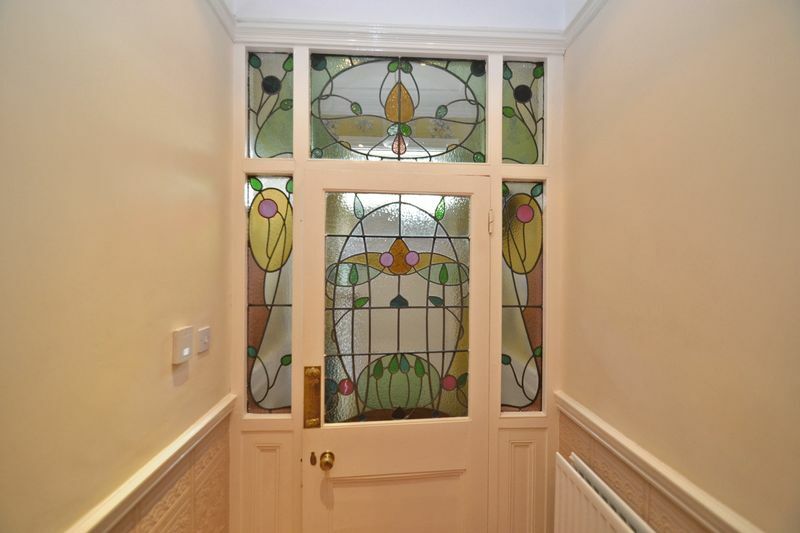 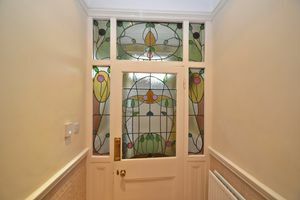 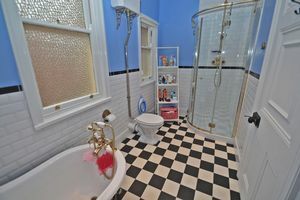 The room is decoratively part tiled with spot lights, radiator and two frosted windows. 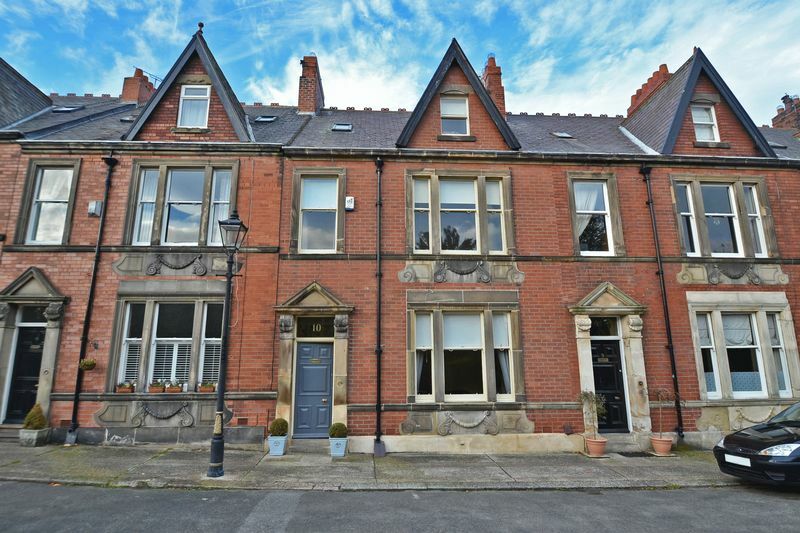 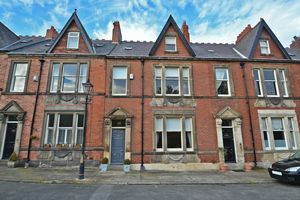 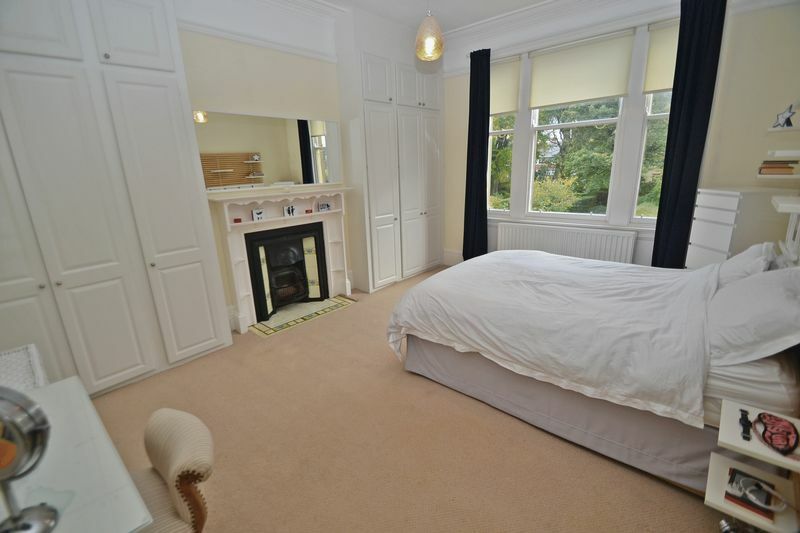 The master bedroom benefits from sash windows to front overlooking gardens, a feature fire place with cast iron fire, tiled inset and hearth, built in wardrobes, picture rail and coving to ceiling. 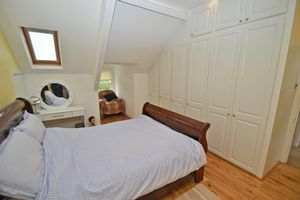 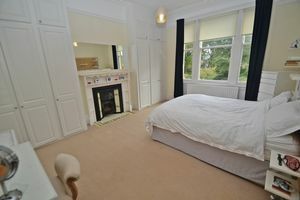 The second bedroom benefits from a traditional fire place with tiled inset and hearth with cast iron fire, built in cupboard, built in wardrobe, coving to ceiling, radiator and sash window to rear. Radiator and sash window to front. 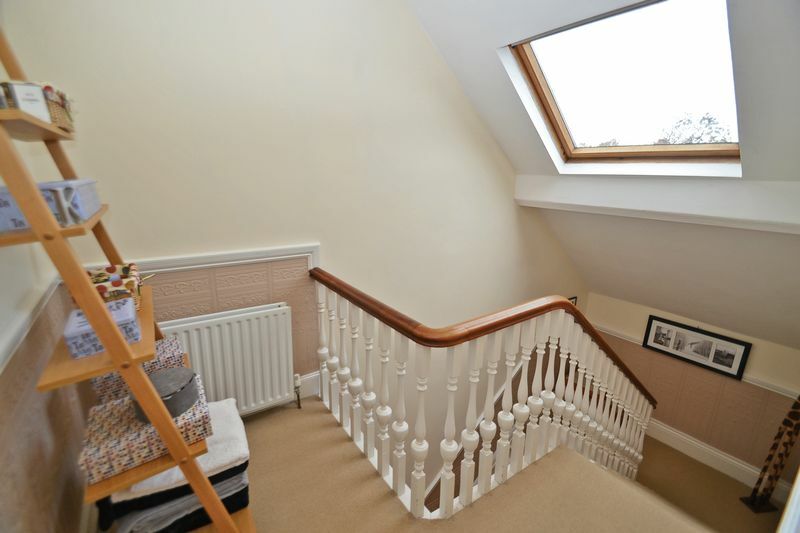 Dado rail, radiator and double glazed skylight to rear. 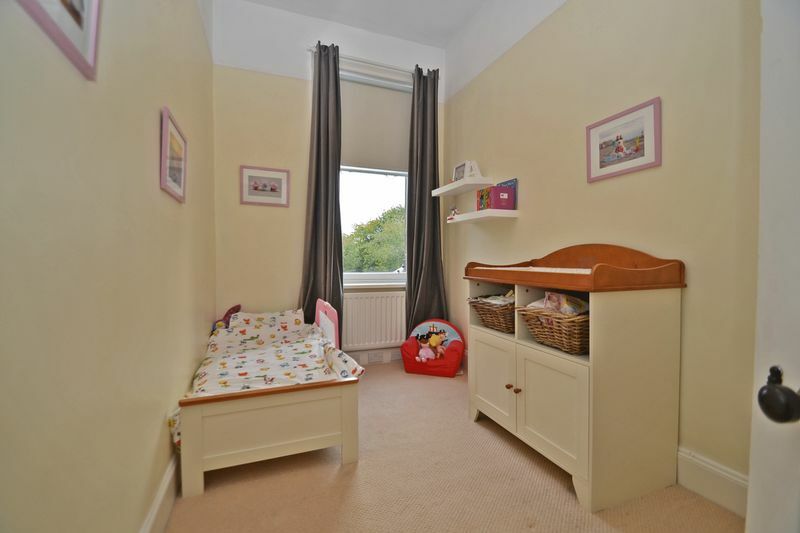 The room features built in wardrobes, built in cupboard, feature fire place with cast iron fire, laminate flooring, dorma window to front and double glazed skylight to front. 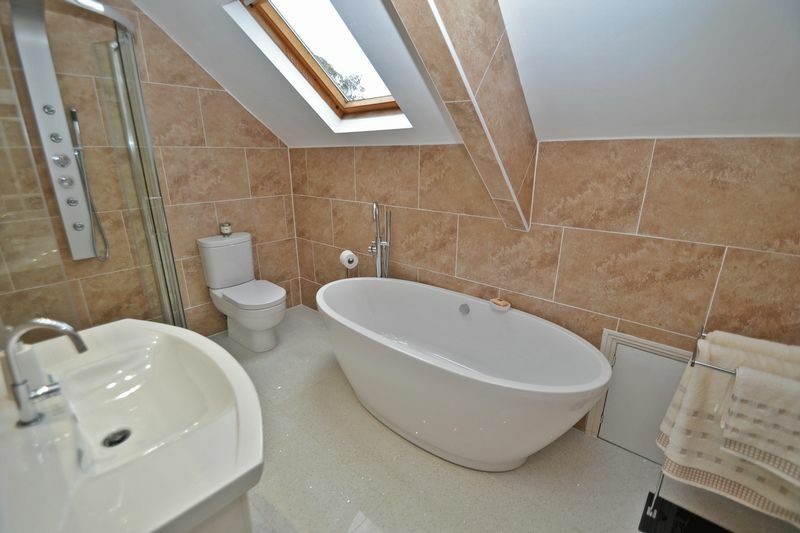 a modern four piece bathroom suite comprising; feature free standing bath with mixer tap and shower attachment, corner shower cubicle, low level WC and vanity hand wash basin with mixer tap. 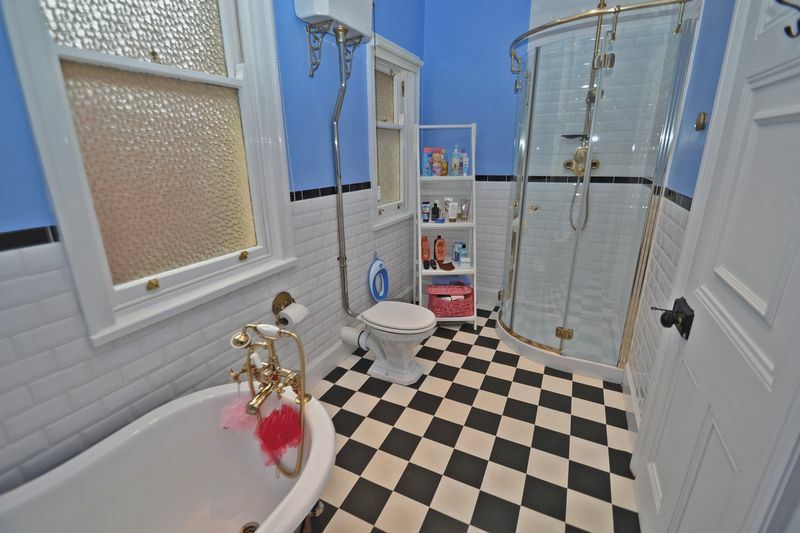 Tiled walls, tiled flooring, feature radiator and double glazed skylight to rear. Radiator and double glazed skylight to front. 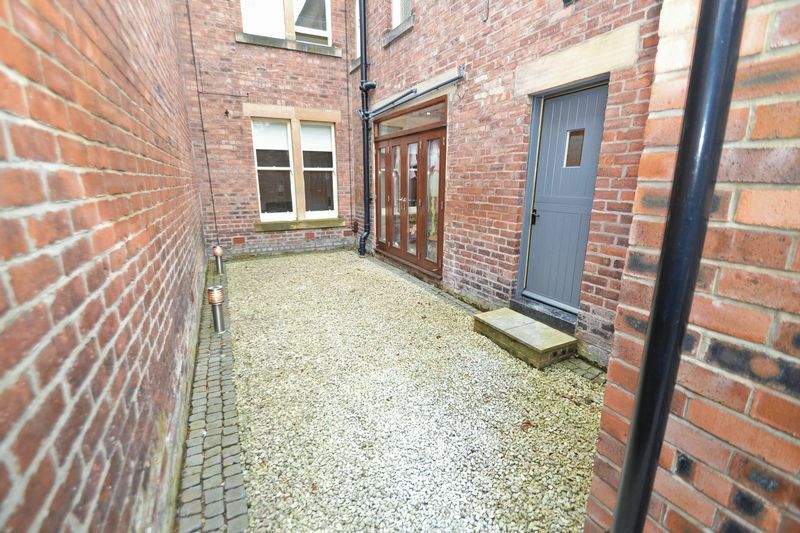 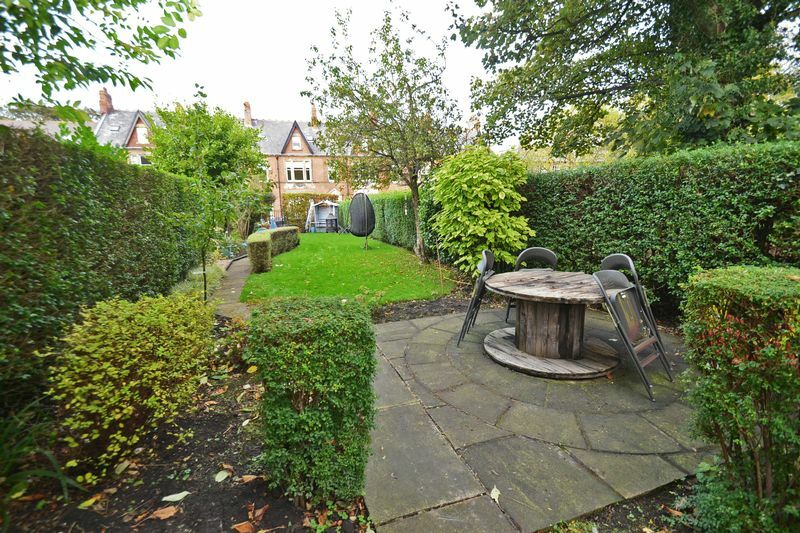 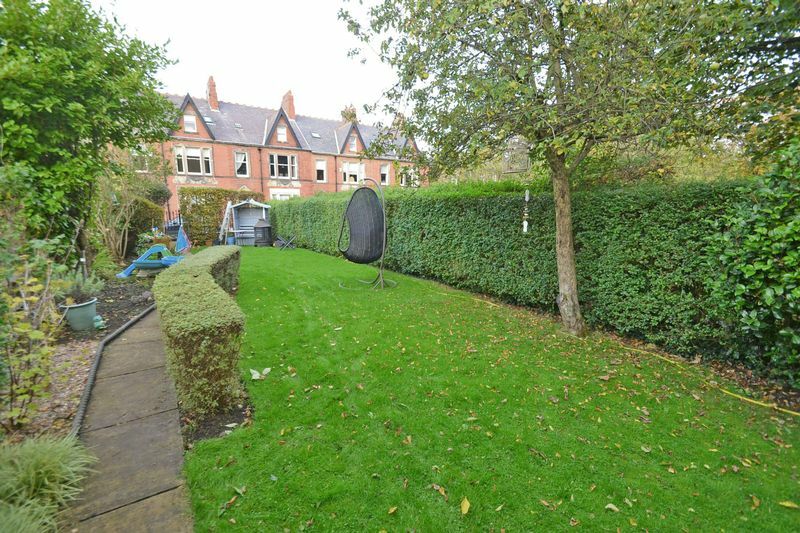 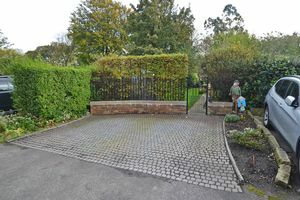 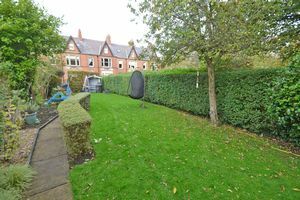 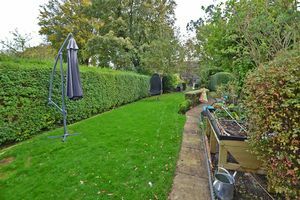 Paved area proving off street parking with fenced private garden behind consisting of a lawned area with mature shrubs. 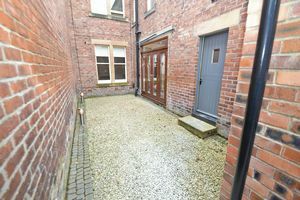 Pebbled area with feature lighting.